Walnuts are a big feature in my plant based diet, mainly as they are so rich in those omega 3 fatty acids that help keep hormones and mood stable and your brain sharp and focused. But are walnuts good for you? 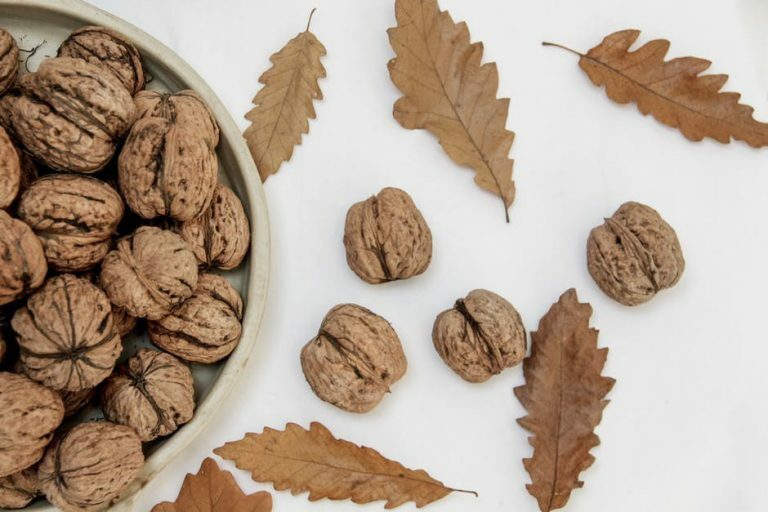 Read on for the 9 amazing walnut health benefits that will have you seeing this wrinkly nut in a whole new light. Nuts of all kinds are mother nature’s perfect food; they are packed full of plant protein, healthy fats, fiber, antioxidants, and are abundant in LOTS of vitamins and minerals. Although often overlooked in the modern diet, nuts are actually something we have been chomping down on since the beginning of time; back then their amazing properties helped give us the strength and muscle power to fight off saber toothed tigers. 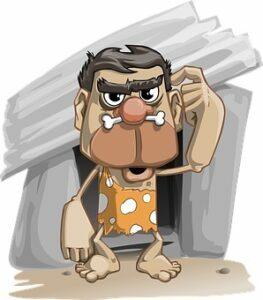 So a food just doesn’t get more caveman than that does it? The best type are the Californian walnuts; they are by far the biggest and tastiest and they’re at their best when they look plump (see picture) and not dried up and shriveled. They are also highly perishable and go rancid quickly and so should always be stored in an airtight container in the fridge. For best results buy organic and raw where possible, and always eat the skins as this is where 90% of all their powerful nutrients and antioxidants lie. Yep, walnuts contain unique antioxidants that are only available in a couple of other known foods. 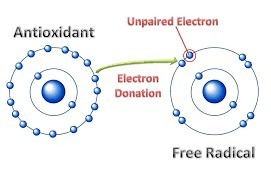 And why do we need antioxidants? Why to keep us young of course; antioxidants are vital for a healthy body and mind, mainly because they repair the harm done by those DNA damaging free radicals that accelerate the aging process. The antioxidants found in walnuts have powerful and remarkable free radical scavenging abilities, and their polyphenols can even help prevent the liver damage caused by chemicals or drugs. The high levels of B Vitamins and antioxidants in walnuts that help them to be free radical scavenging superstars, will also boost your complexion and give your skin that glow that you know can only come from the inside. Eating walnuts alongside other super foods, especially a high quality green super food powder will not only enhance their abilities even more, but also give you many other benefits that aren’t even on this list. Walnuts, although high in fat, are satiating; and being satiated will help stop junk food and sugar cravings in their tracks. In fact, feeling satiated for a long time after a meal is the BIGGEST factor in weight loss and weight maintenance. Add to this the fact that the omega fats, fiber, and antioxidants in walnuts make them a low GI food that will help keep blood sugar under control makes them a great weight loss food. Make sure to eat them only in moderation instead of your usual snacks and not as well as. Keeping sugar levels under control with a low GIycemic dietwill keep you fuller for longer and may reduce your risk of diseases such as diabetes, obesity, heart attack, stroke and some cancers. New and exciting research on walnuts has discovered eating 68 grams (2 handfuls) of walnuts a day can significantly lower your risk of breast and prostate cancer, AND reduces prostate cancer growth by 30-40%. The same study on mice has shown that 2 handfuls a day also halved breast cancer risk and slowed down the growth of existing tumors. Walnuts contain l-arginine, which is an amino acid well-known for its vascular health benefits. The walnut’s high amounts of anti inflammatory omega 3 alpha-linolenic fats (ALA) may help stop the formation of pathalogical blood clots. And those who eat a diet high in ALA are also not as likely to suffer a fatal heart attack and have a 50% lowered chance of sudden cardiac death. The good news here is that you only need to eat 4 walnuts a day to raise significantly your blood levels of ALA. Walnuts also keep your cholesterol levels healthy, which is another factor in heart disease. These fantastic nuts can be a great help to those with diabetes. Their fats have been shown to improve metabolic parameters and significantly reduce fasting insulin levels, and these results were found after eating just half a cup of walnuts a day (roughly a large handful). Walnuts contain vitamin E, melatonin, folate, and many antioxidants. All of these are neuroprotective compounds that keep your brain healthy and reduce symptoms of mental illnesses such as depression and anxiety. Its vitamin E and flavenols also help to destroy the free radicals that cause dementia in the first place . Walnuts contain a compound called melatonin, which is the sleep hormone our bodies produce in the pineal gland to regulate sleep and wake cycles. We already produce this hormone naturally, but sometimes not enough, as our natural cycles can often be put out of rhythm. This is usually due to electromagnetic waves radiating from mobile phones, wifi, internet, light pollution, and a million other of those modern day stressors that mess with your natural circadian rhythms. The melatonin in walnuts can help give blood melatonin levels the boost they need to induce sleep naturally. And if you do happen to be struggling with sleep then it may be wise to turn off your internet connection and mobile phones at night which may also help, plus try to keep your life as stress free as possible. If you want your man to boost his sperm quality, vitality, mobility and morphology, then get him eating 75 grams of walnuts a day and see the magic happen. This ‘magic’ is due to their high levels of omega 3’s and 6’s which sperm just happen to love. Not only that, but they are an easy and convenient snack to take out or eat on the go so you can easily slip them into his lunchbox (pardon the pun). Healthy Foods to Lose Weight – 15 Plant Based Superstars! It is great to learn about all of the health benefits of walnuts because I really enjoy them. I have actually been trying to increase my omega-3s with minimal supplements so it is great to know that walnuts are a great source of those. I also didn’t know that most of the nutrients were in the skins. Usually I get the walnuts that are already crushed so many of the skins are gone. I’ll definitely have to check out the California walnuts. Thanks for the great suggestion. How many walnuts should you eat to start expecting some benefits? Hi there, I’m glad you enjoyed the article. I learned a lot myself whilst researching this. I think a small handful a day would be sufficient to get all the great benefits. Just make sure you add them to your daily calorie/fat intake. You can use any walnuts for these benefits, but I just personally prefer the juicy Californian ones. Wow they certainly are a very nutritious food! The list is quite extensive and I really like the fact that it can help with sleep. Having struggled with broken sleep for a while now, I would definitely give this a try. In fact, I’m going to add it to my morning porridge from now on! Thanks for this in depth article that I am surely to bookmark. Hi Teresa, I am happy I have inspired you to try walnuts. They really are great aren’t they? I’m sorry you are having trouble sleeping. I too had this problem for a long time so I do have a couple of tips for you that helped me combat it for good if you’re interested. 1. Don’t drink caffeine or take B-vitamin or multivitamin supplements after 3pm. 2. Cut your sugar intake down as much as possible (this one worked for me big time). 3. Don’t use mobile phones or computers at least 2 hours before bed because they wire you. 4. Turn your phone onto airplane mode at night, especially if you keep it in your room. 5. 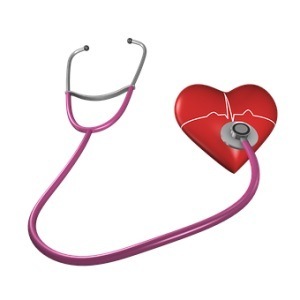 Take good quality magnesium supplements (not magnesium oxide). 7.5htp is a great supplement that can help sleep but not to be taken long term. Hope these help You, please let me know how you get on. What interesting blog! I did not realize that walnuts were so high in antioxidants. The fat from nuts is a great hunger suppressor. As a personal trainer I often recommend nuts as a dietary tool for folks trying to lose weight. Getting clients off sugar can be difficult, but I find that a little handful of nuts during the day a couple times a day provides the satiation necessary to keep to diet goals. I typically recommend almonds, but after reading your blog will add walnuts to that list. Hi Stacy, that’s great you’re a personal trainer as I do sports nutrition for the clients of a P.T. friend of mine and I always recommend nuts too. Another fantastic thing that I have recently discovered is turmeric paste. It truly is a super food. I have started recommending it to my clients as it is satiating, and as turmeric is a massive anti inflammatory it stops muscle aches and pains after sports AND people are commenting to me about how much energy they have. This is a side effect I wasn’t eleven expecting. I am going to leave a link to the recipe which is at the end of the post. I really would live for you to try it out and see what you think! Wow, I knew nuts are good for you but I did not know that walnuts were THAT GOOD for your health. I find them really tasty and it would be easy to get into the habit of eating them every day. Are there other nuts that you would recommend as well? Hi Jojo, thanks for your comment. Yes walnuts are a fabulous addition to your site for sure. I think it’s good to eat an array of different nuts as they all have fantastic qualities. Especially good are Brazil nuts as they are full of selenium. In fact you can get your daily quota in just two nuts and this will help boost mood and keep hair and skin healthy. Almonds are another great, nutrient rich nut that are great for snacking on and they are full of magnesium and calcium. But the nut I eat most of, which is technically a legume, Is peanuts and sugar free peanut butter as they are cheap and high in protein and resveratrol, which is anti aging. Hope this helps, and get the nuts in. Wow, seems there’s every reason to get munching walnuts! Other than just eating them as they are could you recommend some yummy ways to incorporate them into ones diet? I’d be keen to get them in but don’t particularly like plain walnuts. Cheers! Hi Lace, yes you can do lots of things with walnuts including throwing a handful into a smoothie. I would always recommend eating them raw to keep all those lovely nutritious oils in tact. Something I regularly use them in is as a raw cheesecake base, or a crumb to go with a dessert. Simply whizz them in a food processor with the same amount of dates and you get a lovely crumb base for anything you want. You could also just chop them up and add to homemade granola or on top of your breakfast cereal in the morning. Hope this helps. I think walnuts are my favorite nut. I love them because of their taste, texture and nutritional profile. This year I started to wean myself from dairy by making nut milk and butters. I’ve mostly stuck to cashew and almond, but after reading your post, I thought oh, wow! I should try making walnut milk! Have you ever tried walnut milk? Just curious how it turned out if so. Thanks for your post. I enjoyed it. Hi Jackie, I am really glad you enjoyed my post. It’s really great that you are turning to a more plant based way of eating as it just makes you feel so much healthier. You know, I have tried every type of nut milk going, and have made many of my own but I have never tried, nor have I seen anywhere, walnut milk. How bizarre…I wonder if maybe there is a reason for that. I may actually just try and make some of my own and see how it turns out. What harm can it do hey? Hi Jackie, walnuts are my favorite nut too! They are so delicious, but I’m fussy with them and only like the Californian ones as they always taste so much fresher and less astringent to me. And no, I have never come across walnut milk oddly enough, and I say this because I always use nut milks of all different kinds and have never come across walnut. I think that may be a challenge for me to try and make my own hey? I can only imagine it would be delicious. I was drawn to this post by its title. See I know that nuts, in general, are good for you. However, I never knew the enormity of the benefits. I do eat a lot of walnuts but never the skin. Thanks for the heads up. Hi Maurice, glad you have found this post informative, and it looks like it was just for you. At least now you can start eating those nutritious skins. If the reason you don’t eat them is simply because you don’t like them then you could always try soaking them for a couple of hours first. This really changes their texture, flavour and also activates their enzymes making them easier to digest and absorb nutrients out of. I love eating walnuts and I even love them more now that they have so many great health benefits. In your opinion, can you eat too many nuts? I eat about 2-3 handfuls every day but I was told by someone that it’s too much. Hi Vince, yes I’ve started eating walnuts every day too since I researched this article. I think that you should carry on eating 2-3 handfuls a day of nuts, especially if you are eating a healthy diet that isn’t full of other nasty, unhealthy fats. Nuts are full of protein and loads of other nutrients and antioxidants so I would only cut down on them if they start to make you gain weight. Other than that I would say crack on…no pun intended! Great, Thank you so so much for sharing such great information with all of us, indeed walnut has a lot of health benefits and you have explained this really well. This article is a “Must Read” for everybody. Mostly people don’t know these benefits in such details as you have explained. Hi Sarah, yes even I was surprised about how fantastic walnuts where for health when I started researching this. I couldn’t believe the facts I was uncovering and this is why I love nutrition so much. It really can be life changing just to add a few things into your diet that can have so many benefits. I think we’re all going to be on a walnut rampage now ha ha.